People began gathering for Mass with Pope Francis before 5 a.m. 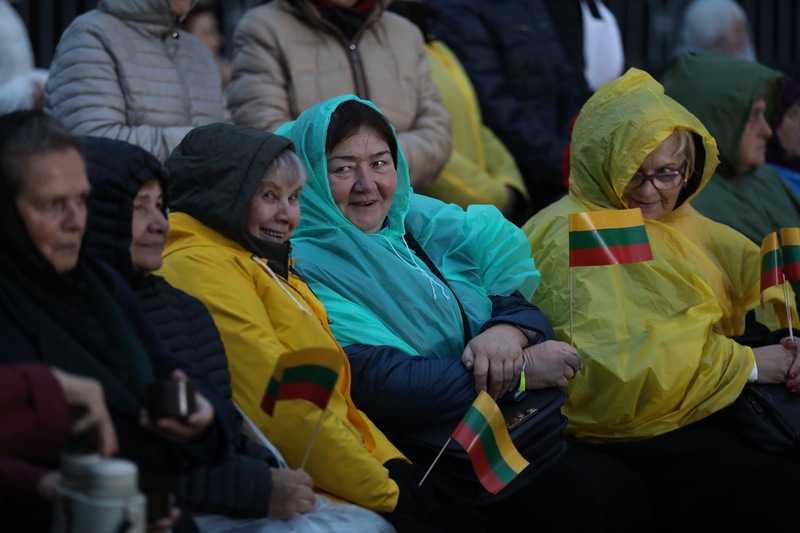 This morning Pope Francis left the Apostolic Nunciature in Vilnius and set off for Lithuania’s second-biggest city of Kaunas, where at 10 a.m. he will celebrate Holy Mass in Santakos Park. Already at 5 a.m. there were people gathered in Santakos Park, praying and singing hymns before the Trakai Mother of God image which stands on the stage where Mass will be celebrated. A film about St. Pope John Paul II’s visit to Lithuania 25 years ago was shown on large video screens. Families and individuals spoke about their experience of the faith and how they live hope in daily life. Relics of Blessed Teofilius Matulionis, a Lithuanian priest and bishop persecuted in Soviet times whom the Pope beatified last year, were brought in and placed on the stage. The relics and the image of the Trakai Mother of God, beside the altar, are its main decorative accents. After veneration of Blessed Teofilius Matulionis and following several other interventions, the many people who are gathered prayed the Rosary, rehearsed the hymns that will be sung during Mass, had a catechetical session with Telšiai Bishop Kęstutis Kėvalas, and now are joyfully awaiting the Holy Father’s arrival.